If this intercession for all who wait on God becomes part of our waiting on Him for ourselves, we will help to bear each other’s burdens, and so fulfill the law of Christ. There will be introduced into our waiting on God that element of unselfishness and love, which is the path to the highest blessing and the fullest communion with God. Love to the brethren and love to God are inseparably linked. In God, the love to His Son and to us are one: “That the love wherewith Thou hast loved Me may be in them.” In Christ, the love of the Father to Him, and His love to us , are one: “As the Father loved Me, so have I loved you.” In us, He asks that His love to us be ours to the brethren. And how can we, day by day, prove and cultivate this love except by praying daily for each other? Christ did not seek to enjoy the Father’s love for Himself; He passed it all on to us. All true seeking of God, and His love for ourselves, will be inseparably linked with the thought and the love of our brethren in prayer for them. Blessed Father, we humbly beseech You let none who wait on You be ashamed; no, not one. Some are weary, and the time of waiting appears long. And some are feeble and scarcely know how to wait. And some are so entangled in the effort of their prayers and their work, they think that they can find no time to wait continually. Father, teach us all how to wait! Teach us to think of each other, and pray for each other. Teach us to think of You, the God of all waiting ones. Father, let none that wait on You be ashamed! For Jesus’ sake. Amen. 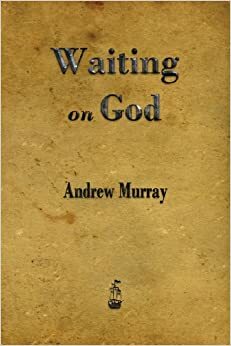 Andrew Murray (1828-1917): was an amazingly prolific Christian writer. He lived and ministered as both a pastor and author from the Cape of South Africa. The earliest of his writings were actually an extension of his pastoral work. He wrote to give daily practical help to many of the people in his congregation who lived out in the farming communities and could only come into town for church service on rare occasions. As he wrote these books of instruction, Andrew Murray adopted the practice of placing many of his more devotional books into thirty-one separate readings to correspond with the days of the month. Countless persons the world over have hailed Andrew Murray as their spiritual father and given credit for much of their Christian growth to the influence of his priceless devotional books.